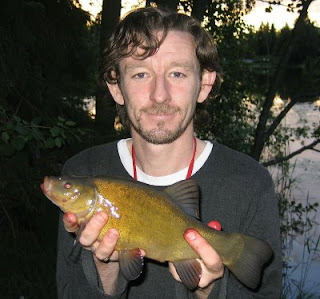 A nice weekend away at a friends country house on the island of Alholmen (somewhere after Ekero) Tried lure fishing for the first time ever and to my surprise, actually caught something. Caught both pike within 10 minutes at the same spot. All in all a pretty quite weekend though but some good spots so worth a return trip soon. Grabbed the rods, reels, scales, camera, a few weights and a packet of size 10 hooks and headed out to Waxholm for a few hours light fishing for Perch. My first cast produced a good bite and I struck into a very strong fish that absoloubtly hooped my 12 foot swingtip leger rod over. 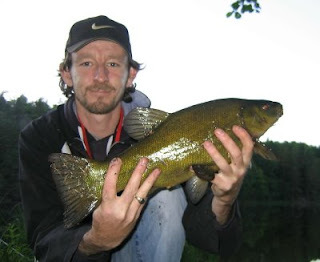 I was dreaming about a monster Perch for 5 minutes as it stayed deep and took line every time I tried to bring it to the surface. 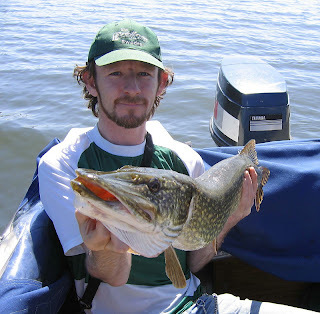 When it did break the surface my dreams were dashed, a Pike of 4lb 13oz. had taken my worms of the bottom! The fish was well hooked in the scissors of the jaw, away from the teeth and it was landed, photographed and slipped back in. A truly unbelievable fight on the ultralight rod, it only it could of been the Perch I thought it might be! A night fishing trip this time for a change with Zander very much in mind. 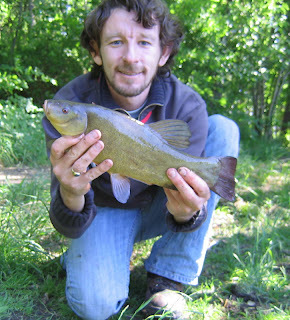 Things got of to a quick start for me with a cracking Tench of 4lb. 2oz. taken at the start of the session at 21.05 on a legered worm, a 5 point fish and a fin perfect specimen. 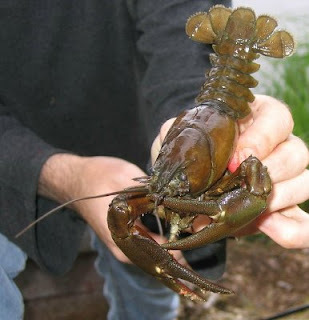 Was not aware the species was present in the lake and this one really fought all the way to the bank. Lovely trip out in the boat with Jamie and Simon after Pike. 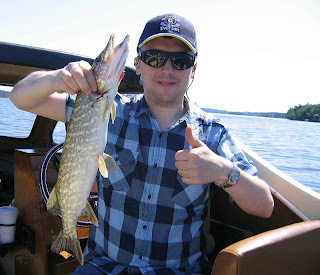 The weather was incredible, an absolute scorcher, which affected the fishing no doubt, nevertheless got a few fish. I hooked up first to a fish of somewher in the 4-5lb class on a big bandit jerkbait, though did not weigh this one. 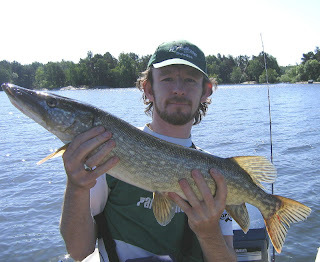 Things were quiet for a bit after that fish, changed lures and I again hit a fish, this time a fine, really well conditioned Pike of 9lb. 2oz. which fought well. This one fell to a large jointed Rapala Rap-Shad. 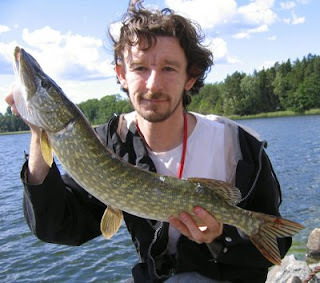 Simon then began to catch, with three Pike coming to him in quick succession, all under the 5lb. mark. Jamie had a desperatly unlucky day, with several strikes and no fish landed, culminating with a very good fish that took a shallow running jerkbait. Unfortunatly the trace parted after a clutch failure on the reel he was using. 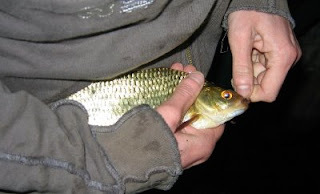 Headed back in a short while later, a really enoyable session and great to get a few fish on lures. The outing earns three points for both Simon and I. 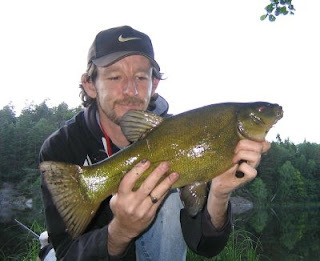 Went after Tench today on my birthday, to a new venue, Trehörningen. 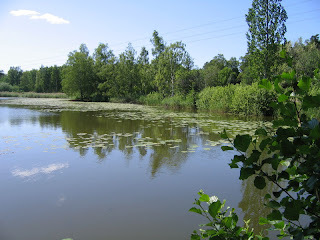 Arrived to find a stunning lake, very picturesque, full of water lilies and it just screams Tench. Despite the later morning start and the very bright, sunny conditions I was hopeful of a fish due to the New Moon today and the fact that the moon low point was at 12.10pm. Started fishing at 09.15am. and things were initially rather quiet. Fished just one rod, a 12 foot quivertip with a free running rig and worm as bait. 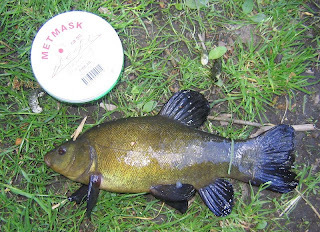 A large Tench rolled on the surface in front of me early on. 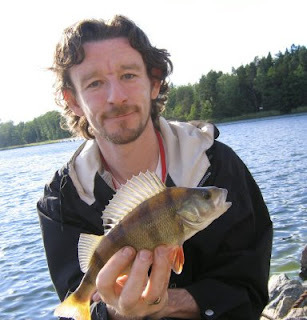 Several frustrating bites followed, each time the worms were stripped from the hook with only the tiniest movement of the rod. 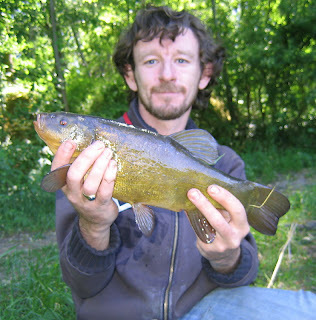 I then hooked and lost a good fish, presumably a Tench at 12.00 nooon. 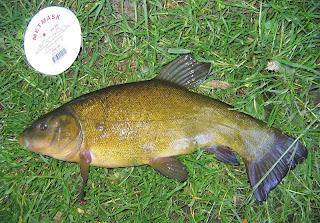 At 12.40 I banked my first Tench of the year, also my smallest ever, an 8oz. male that put up an amazing fight considering its size and had me wondering if I had hooked one of the lakes Crucian Carp! At 13.20 I banked a much better fish od 2lb 9oz., a really pleasing result. This was follow by another at 1.35pm., this one weighed 1lb. 15oz. and was a beautiful pale fish, just lovely to look at. 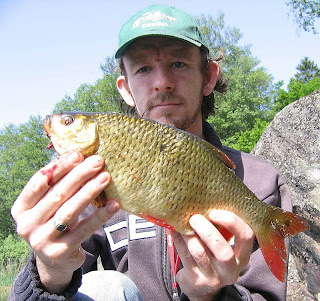 Rudd were a constant nuisance and grabbed most of the baits before they could even hit the bottom, in the future will use sweetcorn or mini boilies to avoid them. 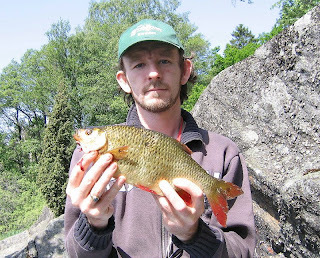 Two Perch were caught, Bream too were in evidence, along with a single Roach. No sign of Crucian Carp today, though some bubbling may have been by this species. 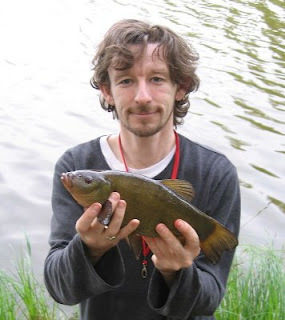 Hopefully will get one on a future session at this lovely lake. Trigger Times; Moon South at 10.10am.